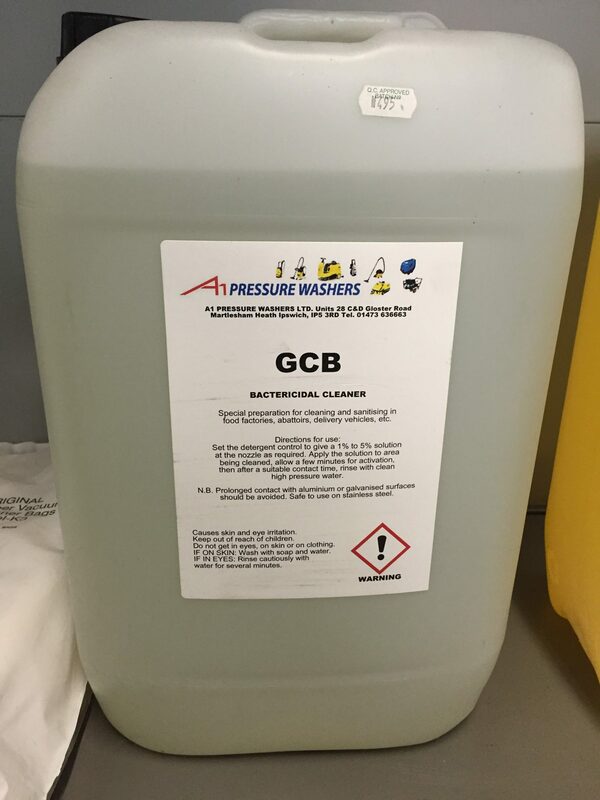 25 Litres of GCB Cleaner & Sanitiser. Bactericidal Cleaner. Food Safe. Special preparation for cleaning and sanitising in food factories, abattoirs, delivery vehicles etc. Set detergent nozzle control to give a 1% to 5% solution at the nozzle as required. Apply the solution to the area being cleaned, allow a few minutes for activation, then after a suitable contact time, rinse adn clean with high pressure water. N.B. Prolonged contact with aluminum or galvanised surfaces should be avoided. Safe to use on stainless steel.